We anticipate this to be our best retreat yet, and we're excited for you if you get in! Remember, this is limited to ten people, so if the form is available below, it means there's still room for at least one or two more. Tuition for this retreat is $2595 US dollars, which is all inclusive except for airfare. Payment plans are available. Remaining balance is due 30 days before first day of retreat. To secure spot, must pay $395 below after application has been accepted. Upon receiving you application we will send you a confirmation email to submit the non-refundable deposit of $395. At that time, you'll be instructed to come back to this page and use the Paypal button found below. 1) Make sure to read the complete retreat description and understand all parameters of this retreat before sending in your application. 2) Upon receiving your application we will send you a confirmation email to pay your non-refundable deposit of $395. You can use this Paypal button for a deposit only amount of $395. The balance is due 30 days prior to the start of retreat, 10th February 2017. If you prefer a different payment option please call the office at 970-799-8950. By signing to agree to this release of liability, you acknowledge that you have read the complete retreat description and everything it entails. You also understand that a certain amount of physical activity will be required of you and that you are physically able to do so. If this is not the case you will inform one of our instructors. Your signature also indicates that you take full responsibility for yourself and your health. You know your limitations and should make sure all instructors are fully informed. If you are under a physician’s supervision please bring a release form saying that you are allowed to participate in this retreat. And lastly we do our utmost best to be clear and precise about what we intend to offer. This is a retreat intensive with nice accommodations. 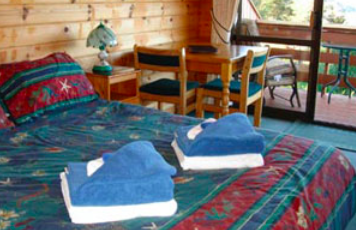 We do not provide 5 star accommodations in order to keep our retreats affordable. Please give us only an informed consent. Our intention is that you will not only leave the retreat with a new focus, but also rejuvenated, joyful, alive and ready to tackle life’s challenges with more ease and mindfulness. We are also offering a bring a friend discount which means you get $100 off if you have a friend who signs up for the retreat as well. About Accommodations . . .
All accommodation options are shared. If you are coming with a partner we also have a couple rooms with a king size bed. We will make sure you are comfortable with the room arrangements. Each room has two single beds. 1. Your $395 deposit is non-refundable but transferable. This means you can give it to someone else who might be interested in attending the retreat. Your other option is to use this deposit for other upcoming events. 2. If for whatever reason you cannot make it to the retreat 60 days before departure, we will refund your money minus a transaction fee at least.. If it is less then 60 days we will refund 1/2 of tuition minus a transaction fee. You must give us written notice of your intend to cancel your retreat. No refunds are given 30 days before departure as all cost for the retreat will have to be paid by then. 3. We highly recommend travel insurance in case something comes up that is out of your control. It’s a nominal fee and will refund any lost expenses. You can go to www.travelguard.com to get a quote and purchase insurance.